We had an audio guide playing as we walked around the killing fields. 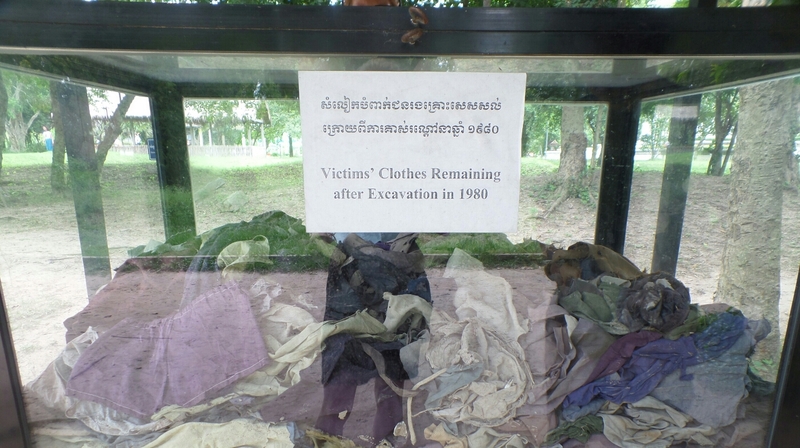 Here under Pol Pot, people were killed for no reason at all, sometimes for just being intelligent (sometimes this could just mean that they wore glasses), teachers, musicians, and the families of these people were first taken to the S-21 prison. This included children. The only ones who were spared were usually countryside peasants, thought to be of little intelligence, which meant they would be easy to manipulate and effectively be Pol Pot’s ‘soldiers’. 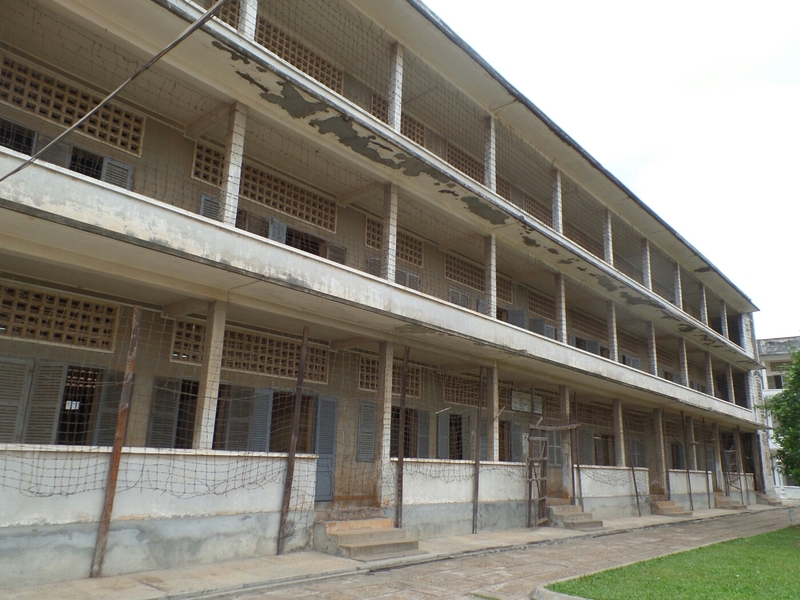 Formerly a school, the buildings were turned into a prison of torture under the Pol Pot regime. The ‘prisoners’, would be tortured for false confessions, forced into confessing they were either spies or some kind of enemy to the regime. After a while in the prison, every week or two, a large truck would be filled with people and taken away. The prisoners, both those remaining and those in the trucks, did not know of their forthcoming fate. 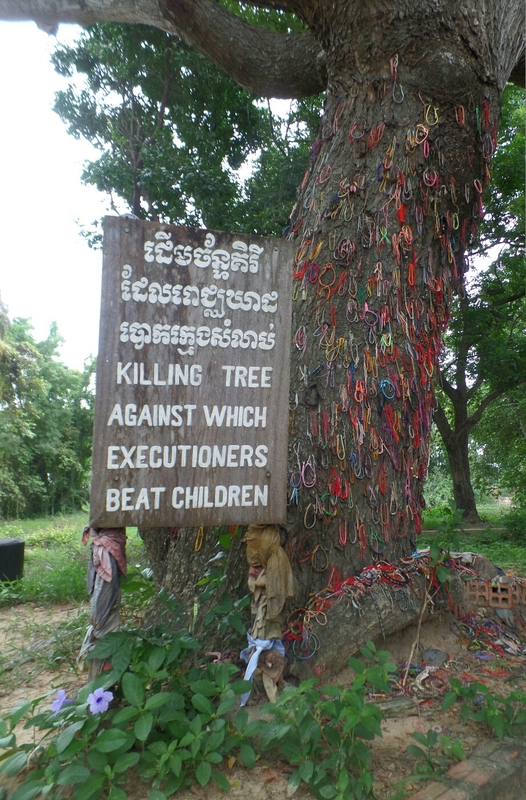 They would be taken to these fields, now known as The Killing Fields, and dealt their horrifying fate. 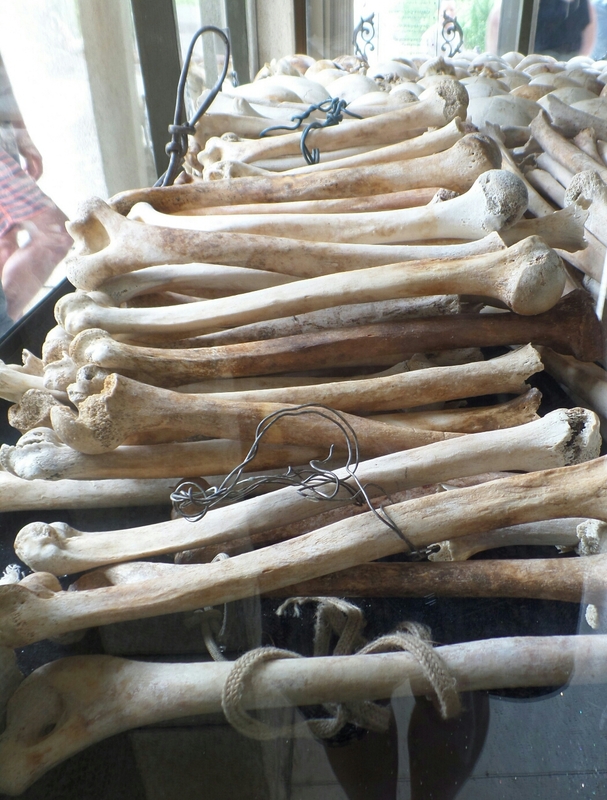 People were killed in any way possible, and there is now a memorial monument where hundreds of skulls remain, showing various injuries sustained. 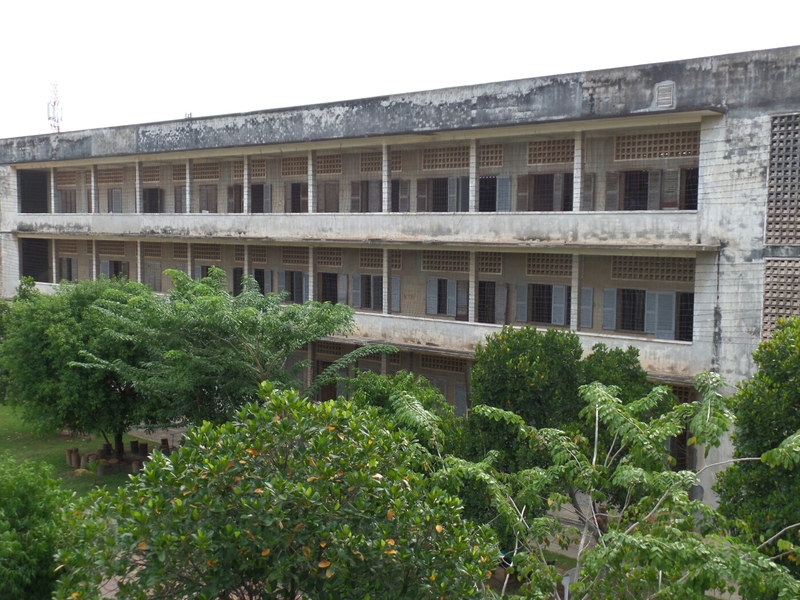 When the Pol Pot regime collapsed in 1979, these fields were found with mass graves, and the horrifying truth was uncovered. 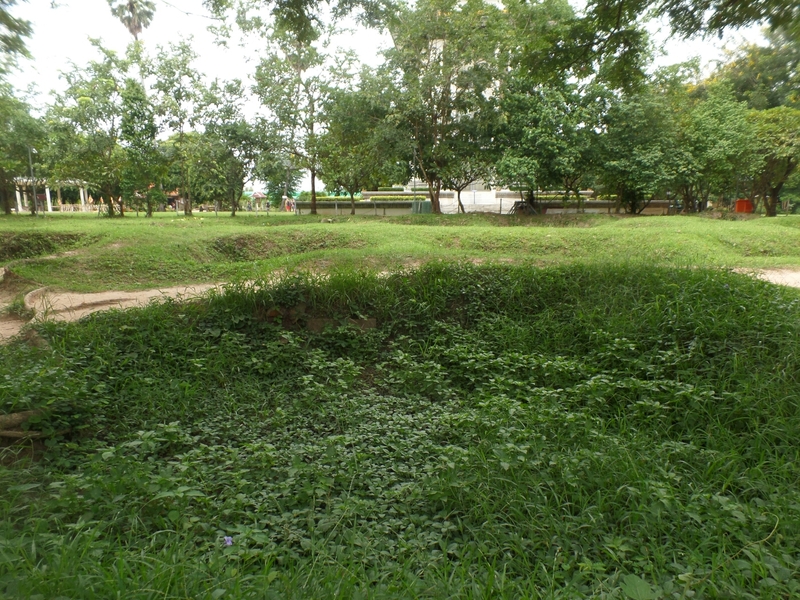 The Killing Fields were not limited to this one site, and an estimated 1.7 million people lost their lives throughout Cambodia. This picture needs no words with it. One of the saddest sights of the fields. There is a small lake at the site, and the audio guide plays some moving music for you to sit at the lake or to walk around it, taking a moment after what you have just seen. There are also living witness accounts whose lives are all but ruined from the trauma. What I could not believe is how recent this happened. This wasn’t gruesome history from hundreds of years ago, this was 1979. This was in my lifetime. 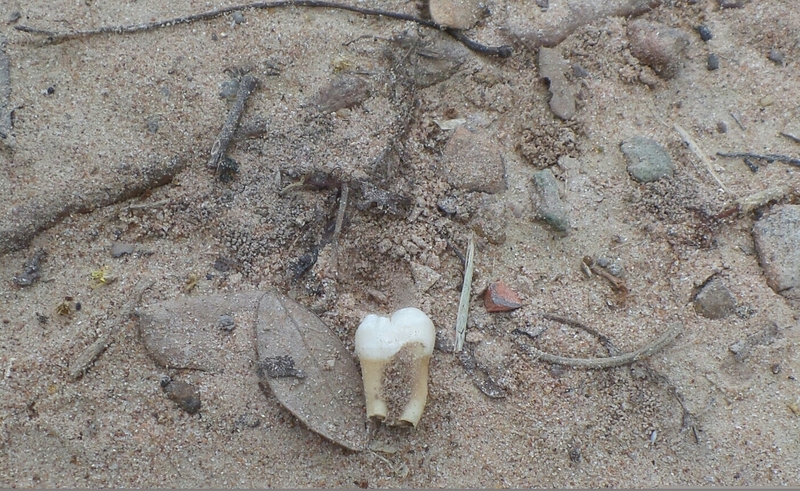 As you walk around, you can see teeth and bone fragments in the ground, these are uncovered when it rains, and are collected up on a monthly basis. 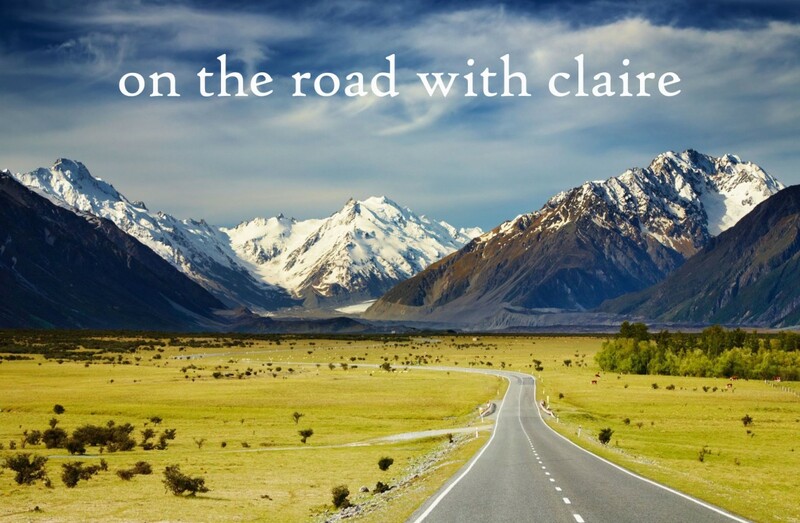 It is truly truly harrowing. The S-21 prison was not much different, row after row of tiny prison cells, still with piles of thick blood on the floors and walls. It is hard to imagine what these people went through. 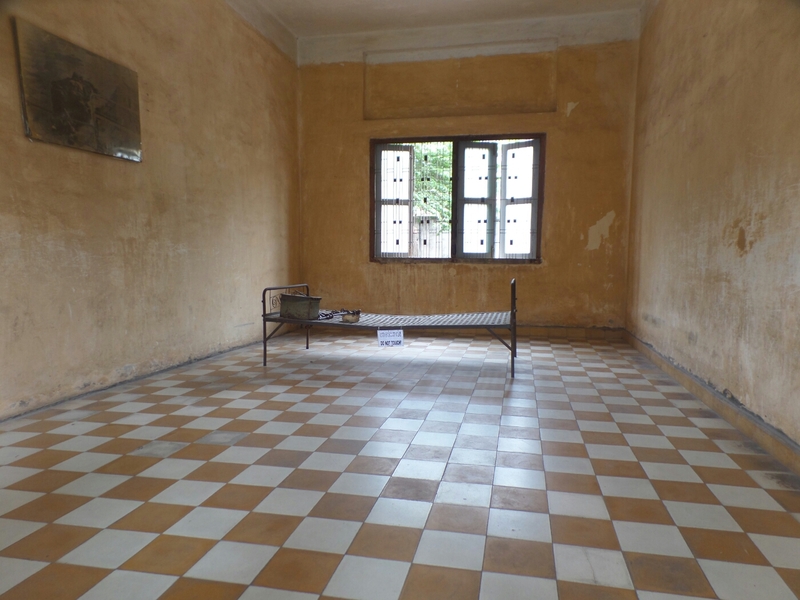 Some rooms were filled with thousands of photos of all the ‘inmates’, mothers, fathers, teachers, doctors, children. They even had photos of the dead prisoners. So crushingly sad. Previous PostPhnom Penh, CambodiaNext PostMr.T – The Drunken Tuk Tuk Driver! It was like that wandering around. You can’t believe these awful things happen, and to think by other human beings. Sad to read. 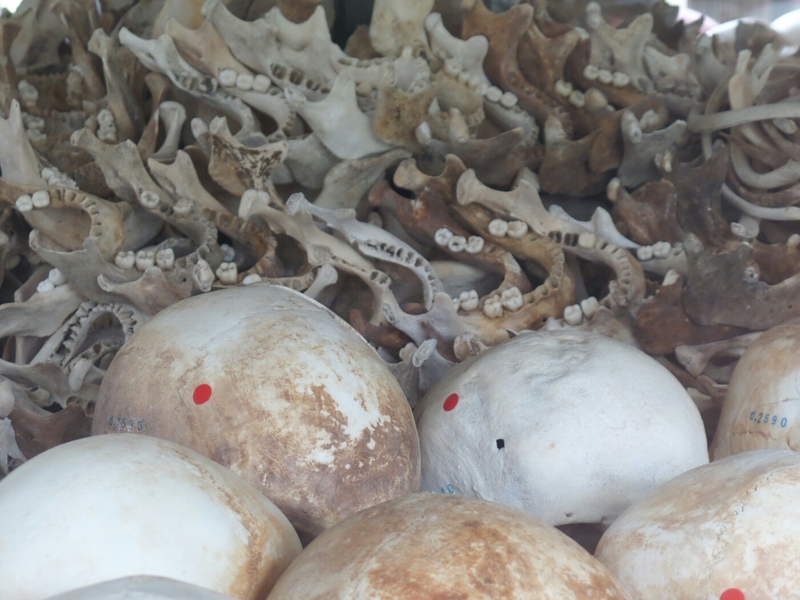 The photos of all those skulls. Yikes! I am always appaled at what humans can do to each other. All school children should be told of this to stop it happening again elsewhere. I’ve seen many programmes and a few films about this horror the reality of seeing it must be harrowing. My heart breaks.